Personalize for free in minutes. 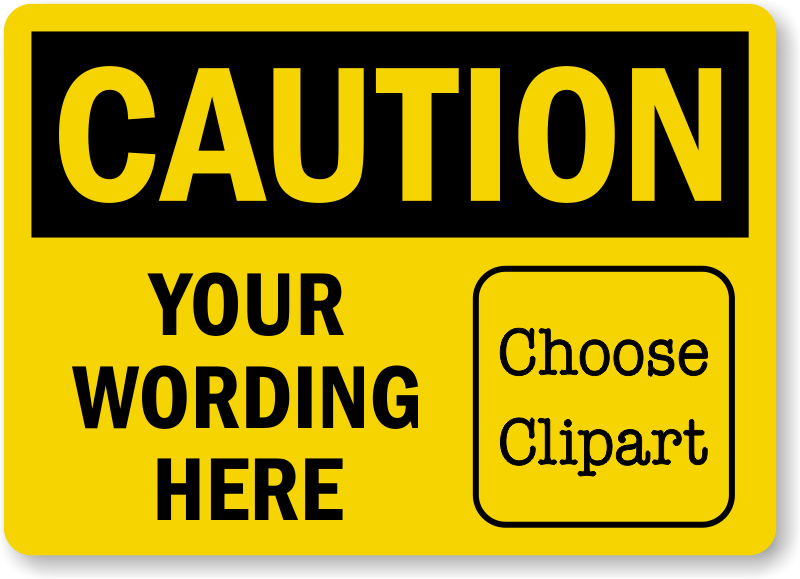 Add text, upload picto online, and order your OSHA Custom Caution Clipart Label. Highly durable, tear proof label made of laminated vinyl can be applied both inside and outdoors. Weatherproof, fade proof, waterproof, UV and chemical resistant label outlasts competition. Good quality, easy to re-order.